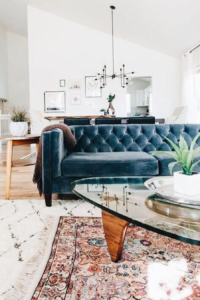 Sure, a home’s interior design is all about beauty. But isn’t it important to add visually-compelling elements that keep you coming back for more? That’s what texture is all about. 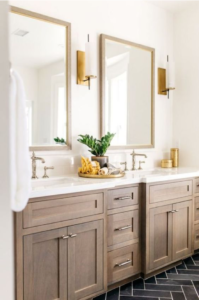 No matter which room your updating or if you’re renovating your entire space, texture is the best way to make your home exciting once again. We’re big fans of texture. It’s something every interior designer uses to make homes look updated and fresh. Here’s why. Now that you know why texture is your best bet. Here’s how you can incorporate it into your space. 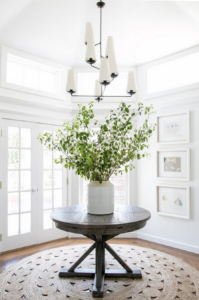 We all love adding greenery and plants to our spaces. Not only does it make your home feel more natural and organic, but it also adds much-needed texture. 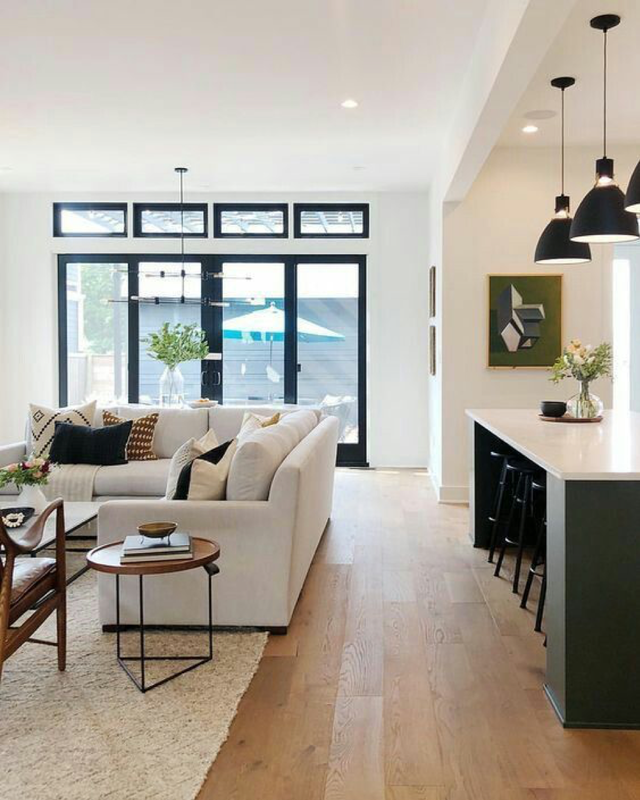 Plus, the pop of color is always nice to the typical neutral color palette many homeowners gravitate towards. 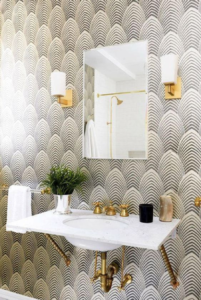 One of the most fun ways you can add texture is through wallpaper’s optical illusion. 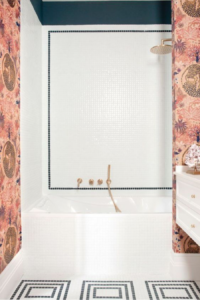 Use patterned wallpaper and give your home the powerful punch it needs. Area rugs are a great way to incorporate texture. 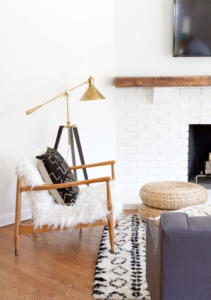 Our latest trick is layering rugs on top of one another for even more texture. Try doing this with patterns that compliment each other and have simpler patterns. Add depth and complexity to any room by styling with a range of finishes. You can add wooden picture frames, organic accessories, and metallic tableside lamps for a variety of textures. Whether on free-floating shelves or layered in built-ins, books are another great way to add texture. 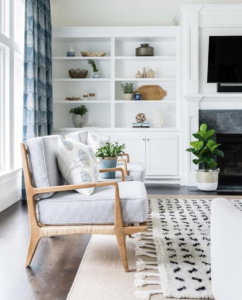 A trick many of our clients learned through HGTV’s popular series “Fixer Upper,” is flipping the books around exposing the pages rather than finding covers that fit a specific color scheme. 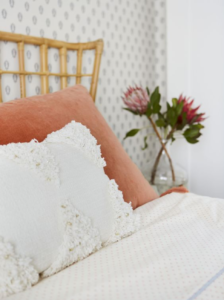 Decorative pillows are the easiest way to update your space with texture. Even using multiple pillows in the same color with different fabric materials can really bring a style together. 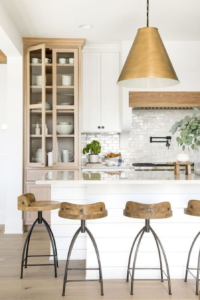 One area that’s often overlooked, but that’s one of our go-to texture elements, are lighting fixtures. 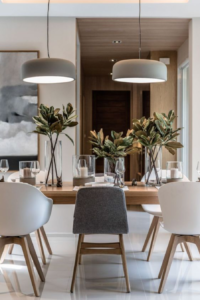 Lighting can add interesting finished to any room—especially statement pieces that are often used in bedrooms and living areas. 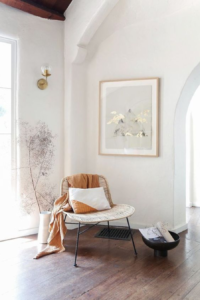 Ready to add texture into your home? First, check out our top five rules. Don’t overload your space with too much texture. Stick to textures with complimentary sensations. Work with a few key pieces. Use textures that fit the space. Our interior design team is here to help. 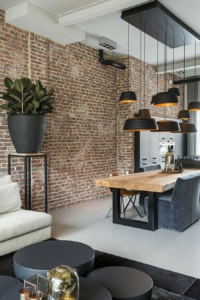 Contact us to get more tips on how you can add texture to your home.